Daniel Dudeck, aka Mudcat, comes across as a downhome country boy, which is an honest assessment, considering he was born along the Mississippi and grew up in Georgia, which he now calls home. But don’t be fooled by his appearance. He’s a smoking guitarist and songwriter who divides his time between acoustic sets and red-hot, uptempo Southern soul blues as demonstrated on this set. He’s lived a diverse life after trying his hand at acting at New York’s famed National Shakespeare Conservatory as a youth. 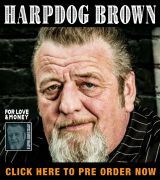 He spent years on the streets of America, developing his style that fuses Delta, Piedmont, Cajun and country as he busked for tips, proven himself as both a gospel and blues singer, worked closely with the Music Maker Relief Foundation and marketed his own brand of hot sauce. 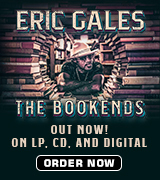 Now, he even hosts his own radio show on the Blues411 internet channel. But one of the true jewels in his career is his work fronting the Atlanta Horns, who were founded and are led by legendary trombonist Lil Joe Burton, who served as Junior Wells’ band as a teenager before a 10-year stint with B.B. King and service time with Joe Tex, Bobby Womack and Otis Clay. The lineup includes Chad Mason (keys), Daryl Dunn (saxophone), Mico Barnes (trumpet), Eskil Wetterqvist (percussion) and David “Snave” Evans (bass and flute), most of whom have played together since the group was formed about 14 years ago. If you visit Atlanta, they appear regularly at the Northside Tavern. Mudcat’s 13th release in a career that began in the mid-‘90s, While You Were Away starts off innocently enough with a flute solo introduction to the instrumental “Sarah.” It evolves quickly into rich staccato horn tune atop a bluesy guitar line that gives everyone room to stretch out. The title cut, “While You Were Away,” follows, swinging from the bottom as Dudeck delivers a message about how the world turned and changed in unpleasant ways during separation from the woman he loves. “Drink Myself Sober” features Mudcat in a Southern-tinged, upbeat rap with Latin feel and desert imagery as it deals with the after effects of being rejected by the object of his desires. “Divine The Fight” is a funky, uptempo shuffle that signs praise for the struggle necessary to come out a winner at love. Another powerful horn flourish kicks off the instrumental “Toodle-oo,” which features Burton, aided by keyboard, trumpet and guitar solos, before Dudeck delivers “Let It Be Me,” a soulful, horn-punctuated plea to be chosen to help a lady get through the night. The rhythm section comes to the fore to kick off “The Devil Is Real,” Mudcat’s slide-guitar fueled memory about being a difficult child, before the reverie “So Far,” which features a guest appearance by 90-year-old keyboard player Eddie Tigner, a Music Maker veteran who spent 30 years with the Ink Spots beginning in the ‘40s and gave 14-year-old James Brown one of his first breaks while working with legendary vaudevillian Snake Anthony. An interesting, minor-key boogie, “End Of The Night,” and the gospel and New Orleans tinged “Wake” conclude the set. Available through CDBaby or directly from the band’s website, While You Were Away delivers a horn sound that’s a little darker and heavier than you’ll get from Memphis or Chicago ensembles. 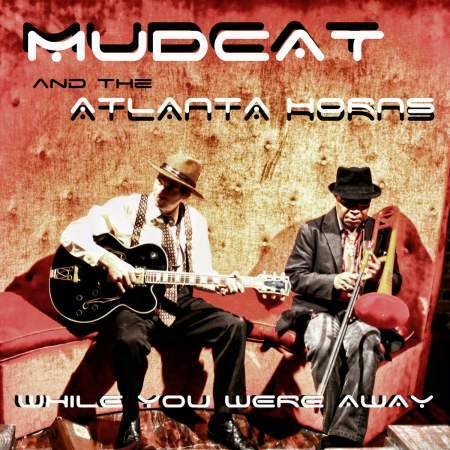 Mudcat And The Atlanta Horns deliver in this all-original set. The music touches several mediums and is hard to pin down throughout. But if you like horn bands and are searching for something different and new, this will appeal to you on several levels.